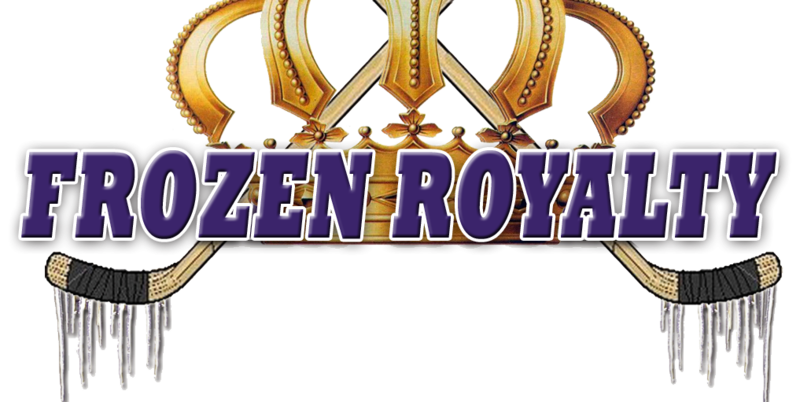 FROZEN ROYALTY EXCLUSIVE: With the Hockey Hall of Fame inducting new members on November 8, 2010, it is appropriate to note that among the players who are deserving of induction but have been unjustly denied is former Los Angeles Kings superstar goaltender Rogie Vachon. The following story, which was originally published on November 28, 2009, is being re-published as a reminder that this travesty continues. LOS ANGELES — Many hockey fans in the Los Angeles area have at least heard of Rogie Vachon. They may know that he was the best goaltender ever to wear the jersey of the Los Angeles Kings. But few know of his accomplishments with the Kings and with the Montreal Canadiens prior to his arrival in Southern California. Even fewer know that Vachon’s accomplishments rank him among the greatest goaltenders to have ever played the game, yet he continues to be denied the honor of being inducted into the hallowed halls of the Hockey Hall of Fame (HHOF). A close look at Vachon’s career statistics shows that he ranks ahead of a considerable number of goaltenders who were inducted into the HHOF years ago (for details, see Time To Right A Wrong: Hockey Hall of Fame Must Induct Rogie Vachon). “There is no way we can keep that guy out of the Hockey Hall of Fame,” added Kennedy. Vachon got his start in the National Hockey League with the Canadiens in the 1966-67 season, back when the league still consisted of its Original Six teams. Facing the legendary Gordie Howe, at the time, the best player to have ever played the game, on a breakaway in his NHL debut? Talk about a rude welcome to the league! Things continued to go well for Vachon, who went on to win three Stanley Cups with the Canadiens in four seasons. He almost won another one with them as well. Although Vachon won his third Stanley Cup with Montreal in 1970-71, it was Ken Dryden who backstopped the Canadiens in the playoffs, winning the Conn Smythe Trophy as the most valuable player in the playoffs. Vachon knew the Canadiens would anoint Dryden as their number one goaltender after that. The Habs honored his wishes, trading Vachon to the Kings on November 4, 1971, in exchange for Denis Dejordy, Dale Hoganson, Noel Price and Doug Robinson. For Vachon, exchanging the Canadiens sweater for a Kings jersey was a drastic change, to say the least. Indeed, Vachon went from a dynasty team to a struggling, four-year-old expansion franchise. Vachon toiled in the nets for a couple of awful Kings teams until they finally broke through and made the playoffs in the 1973-74 season. That season, when the Kings set a franchise record that still stands today with 105 points, is the one that stands out for Vachon. But even though Vachon often won games all by himself on teams that were mediocre, at best, he was unable to get the Kings past the first round of the playoffs. Despite not being able to get the Kings out of the first round of the playoffs, Vachon was not just a superstar. He was also a leader, a part of his game that he brought with him from Montreal. Indeed, one of Vachon’s most vivid memories about his time wearing the bleu, blanc et rouge (blue, white and red) jersey of the storied Canadiens is the attitude and pride that was present throughout the franchise. Bob Berry, a pro scout for the Kings, played six seasons with Vachon here in Los Angeles. Berry said that Vachon competitiveness is what he remembers most. Vachon explained that all he was trying to do was light a fire under his teammates. Indeed, even with superstar center Marcel Dionne joining the team in the 1975-76 season, Vachon was the biggest reason the Kings teams Berry played on had any success at all. Of course, the leadership Vachon provided would have meant nothing if he was a poor or even just an average goaltender. But he backed up his leadership with elite level skill. “He was a goaltender, and there haven’t been many in Kings history, that when he was in goal, you knew you had a chance to win the game, or that he would keep you in the game,” said long-time “Voice of the Kings,” Bob Miller, who called the action for five of Vachon’s seasons with the Kings. Miller, who is now in his 37th season of calling the action for the Kings, said that Vachon’s courage was one of the reasons he was a superstar. Miller marveled at Vachon’s superior skill. As stated earlier, Vachon’s career statistics and accomplishments make a rock solid case for him being more than worthy of induction into the Hockey Hall of Fame. “He wasn’t a big guy, yet he played so well and really, the shame is that he’s not in the Hockey Hall of Fame when the numbers he has are better than some who are in the Hall of Fame, and he has those seasons and those numbers with very mediocre Kings teams,” said Miller. “The nights he played for us, he certainly was in the [Hall of Fame] category,” said Berry. Vachon’s stellar play in the 1976 Canada Cup tournament also adds to his credentials, as he led Canada to the tournament championship with a 1.39 goals-against average, a .963 save percentage and two shutouts in seven games. He was named as the best goalie of the tournament and the Most Valuable Player for Canada. The biggest reason Vachon has been overlooked by the Hockey Hall of Fame is because during his time in the NHL, cable and satellite television, the World Wide Web, YouTube, mobile phones and the like, did not exist. Moreover, the Kings only had about fifteen games on television each season at the time. To be sure, Vachon played in complete anonymity on most nights except to those in Southern California. Although Vachon does not seem to be bitter about being passed over for induction, he is disappointed. Vachon came ever so close to induction in 1987, his first year of eligibility. “The first time around, someone on the [selection] committee told me that I had missed by one vote,” he said. But since 1987? Nothing. Nevertheless, hope remains. Miller said that the Hockey Hall of Fame’s credibility is weakened by the fact that Vachon is still not an honored member. Why Isn’t Rogie Vachon in the Hall of Fame? The hockey Hall of Fame is a shame until Rogie Vachon is inducted! Women entering before Rogie….Blasphemy….and that is not to take away from James and Granato who certainly had their place in hockey’s rich history…..I understand from a fan’s point of view the TV,Cable, etc…. argument but the HHOF does not need such media driven components to allow one of the all time best players of its league to gain entry in his rightful spot! I wonder why the players within the hallowed Hall do not rebel and demand Rogie’s acceptance! Completely unacceptable, and while it is a great honor for those who continue to become included in their selections, it is a MOCKERY OF JUSTICE for a man of Vachon’s stature to continue to await his call. Possibly worst of all, NO ONE has been able to defend the shun, or explain it in a manner that does not demean the common sense! This is ridiculous. At this point they are going to wait until he dies to put him in the Hall of Fame. He has better number than other goalie that are in the HOF and he is not inducted. It’s a joke and he should have been inducted years ago. Great article for a great goaltender. I made this argument this morning on NHL Home Ice’s The War Room. Mick Kern agrees as do all intelligent individuals. Great article. Yes, the 2011 class is certainly deserving. As solid a player as Taylor was, I don’t think he qualifies. They have to be dumber then a box of rocks to overlook Rogatien Vachon one the best to ever play the position and it was an honor for me to be a teammate and a friend for all of these years. Here is a man who never ever asked for anything. He just went out did his job night after night and always gave his teammates the compliments after a game. You have no idea how year after year this eats at me when I see some of the others already enshrined and absolutely nothing against them one bit but at least give the man the credit he is long overdue for and I challenge the press to stir up some action please that will help get this done. Just speechless. Rogie was my first memory of becoming a Kings fan, back in `76 when he shut out the Caps 3-0. I was hooked at the age of 12. Thank you for again writing up this article and throwing it all in the faces of the HHOF, Gann. Well written and it just moves me each time I wait to see if Rogie’s name is called to be there with other greats. One of the few times i ever heard Rogie make a statement before a game, we were in Atlanta for a playoff game and were leading the series 1-0 in a best of 3, and before the game, Rogie said to everybody score one tonight and we will win, and sure enough, it was 1-0 in overtime for us and then it was on to Boston. That really got everyones attention. Gary “Cobra” Simmons? What an honor it is to have you comment on one of my stories…I remember you as a player. Loved Rogie, and that sweet mask! Jake, in regards to Rogie’s mask, the late Art Brewster, a huge King fan and artist who drew many sports items around the Forum and for newspapers as well, painted the mask. I opened up the eye area so Rogie could see the puck better at his feet in case of rebounds which, like the Cobra stated, he had more then his share, but still has 300 plus wins and 3 stanley cups in his career he should be a given shoe in to the HOF.